This entry was posted in Wood Flooring and tagged dark wood stain, dark wood floor, dark flooring, dark hardwood flooring, Walnut flooring on August 7, 2018 by Chris Elliott. This entry was posted in Wood Flooring and tagged grey wood stain, grey stained floor, grey hardwood floor, grey wood flooring, grey flooring on July 31, 2018 by Chris Elliott. Unfinished or Pre-finished Wood Flooring? 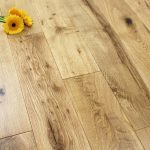 When choosing a wooden floor, there are so many options. 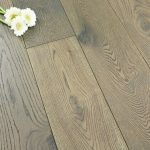 The colour and pattern of the flooring is generally determined by the species of wood, such as Oak or Walnut. 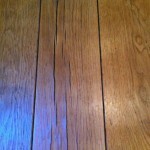 The finish of the flooring determines how the surface of the floor looks, for example, matt, glossy or textured. 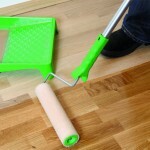 The finish of the floor also protects the surface from daily wear and tear. You will have to choose between an unfinished or pre-finished wood flooring. Here is everything you need to know to help you to make the decision. This entry was posted in Wood Flooring and tagged unfinished or pre-finished, unfinished v pre-finished, pre-finished wood flooring, unfinished wood flooring, unfinished hardwood floor, pre-finished hardwood flooring on July 23, 2018 by Chris Elliott. 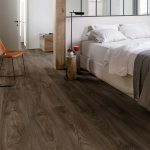 Can wood flooring add value to a property? 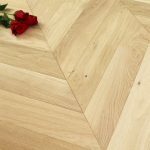 This entry was posted in Wood Flooring and tagged why choose wooden floor, why choose hardwood, wood flooring lifespan, wood flooring add value, wood flooring benefits, Hardwood flooring life expectancy on July 18, 2018 by Chris Elliott. If you choose engineered wood flooring you will be getting very versatile and stable product. 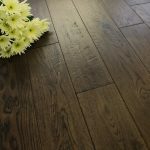 The beauty of engineered hardwood is that you are still getting a natural floor covering, at a more reasonable price, and it is stronger and more adaptable than solid wood flooring. 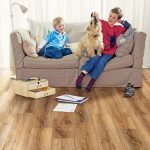 There can be mixed views of engineered wood flooring. Some people love the versatility and usability of it, and others are afraid as they think it is not completely a natural product. 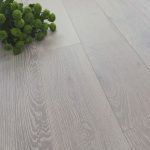 It is, of course, still a natural product and has a top layer of real wood so once installed looks and feels exactly the same as solid wood flooring. This entry was posted in Engineered wood flooring and tagged underfloor heating and wood flooring, durable hardwood flooring, versatile hardwood flooring, benefits of wood flooring, benefits of engineered wood, engineered hardwood flooring on June 27, 2018 by Chris Elliott. This entry was posted in laminate flooring, Wood Flooring and tagged which flooring, wood v laminate, real wood floor, wooden floors, laminate flooring on June 11, 2018 by Chris Elliott.